I really am glad that the Penang State Government had responded on the allegations against JinkoSolar plant in Prai which poses a real threat to environmental and public health which have been highlighted HERE & HERE. The reply from the political secretary to the chef Minister of Penang, Wong Hon Min, HERE. the collaboration between the Malaysian Investment Development Authority (MIDA), the Department of Environment (DOE) and the state government’s investment arm, InvestPenang.” And that it was also an attempt “to disrupt cooperation between Putrajaya and Penang in bringing in more investments and jobs to the state,” alleged Wong. It is most refreshing to note that Penang and Putrajaya are cooperating closely in the best interest of the nation. Was this political maturity? 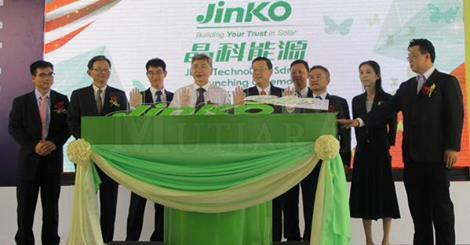 Mr Wong also said that the USD100 million investment by JinkoSolar was approved by the DOE and that the Federal Government issued the company a license for the manufacture of photovoltaic cells and modules at the Prai factory. Wong also claimed that Prime Minister Najib Razak was originally scheduled to officially open the plant but due to unforeseen circumstances was unable to attend and was represented by Minister in the Prime Minister’s Department Mah Siew Keong instead. For full report please read HERE. First and foremost, yours truly would like to commend YAB PM for being alert not to officially open the JinkoSolar plant in Prai. Presumably YAB PM must have been recently informed of the serious pollution that was caused by JinkoSolar in China and elsewhere. As a Malaysian, I fully support Penang Government for its ability to get US$100 million investment by JinkoSolar into Malaysia. No one in the right mind would object to a good foreign investment provided it has received all the necessary approvals and poses no danger to our environmental and public health. No one is accusing JinkoSolar of operating the solar plant in Prai without approvals from DOE and Federal Government. Such approvals do not mean that the JinkoSolar plant is a pollution free factory. The issue at hand is not whether JinkoSolar has obtained the necessary approvals and licences but whether it has been candid in its applications for approval from DOE, MIDA and Federal Government by disclosing the glaring fact that its solar plant in Zhenjiang China was closed down by the Chinese government because of public protect against pollutions to the environment. 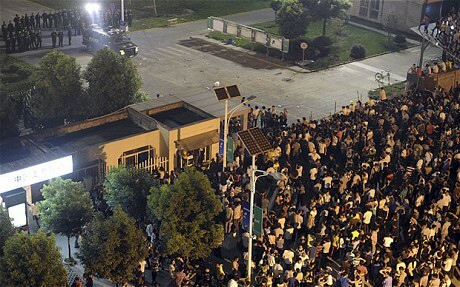 It is an undisputed fact that on 19-9-2011 Jinko Solar Holding Co had to apologise to the people in Zhejiang province for contaminating a brook in eastern China’s Zhejiang province with waste from one of its factories—pollution that set off sometimes-violent protests at the factory last week. It was due to the said contaminations/pollutions that the plant’s operation in producing solar component and photovoltaic panels had to be halted. Please read Wall Street Journal Report HERE and BBC HERE. It was also reported in the ChinaDialogue News Portal that some of the villagers will not be satisfied until the factory goes altogether. “None of us believe them,” said a villager. Please read HERE. On 31-7-2014 The US Circuit Court of Appeals in New York had adjudged that JinkoSolar had failed to “disclose ongoing, serious pollution problems” in its prospectuses for two stock offerings in 2010”, HERE. While the statements regarding JinkoSolar being subject to a variety of pollution regulations and the high cost of both compliance and non-compliance are not misstatements, they are relevant to the materiality of the prospectuses’ description of JinkoSolar’s potential to cause serious pollution problems and the steps it was taking to avoid those problems. With regard to that description, we believe the complaint sufficiently alleges that the failure to disclose that the prophylactic steps were then failing to prevent serious ongoing pollution problems rendered that description misleading. For the Ground of Judgement of the US Circuit Court of Appeal of New York please read HERE. Therefore, it is now a very serious issue for the Penang Government and JinkoSolar to come clean and produce documentary evidence that JinkoSolar had discharged its duty of full and frank disclosure of material facts (i.e. its plant in China was closed down by the Chinese government due to discovery of pollution to the environment and violations of the environmental law) in its application to DOE and Federal Government. In view of the findings of the said US Circuit Court of Appeal in New York, the Penang Government is duty bound to also publicly produce documentary evidence that in its letter of support or recommendation to the DOE and Federal Government it had fully and frankly disclosed that the JinkoSolar plant in Zhenjiang China was closed down because of its involvement in polluting the environment and violations of environmental laws in China. Foreign tourists especially those from the developed countries like USA, Europe, Australia, Japan, Korea and others are extremely concern over existence of factory discharging smoke in the air and toxic waste into the river which authorities have taken actions against. Yours truly would want to ensure that the environmental and public health of the people in Prai and Penang are jealously safeguarded and that more and more tourists will make Penang a destination of choice. There must be full disclosure in the application for licences to our DOE and other authorities. 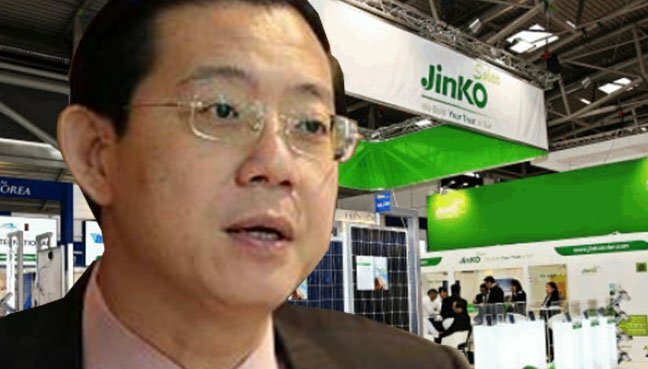 Lim Guan Eng and JinkoSolar must tell Malaysians whether there was a full disclosure that JinkoSolar had caused pollutions in China and its plant was closed down by the Chinese government. That German is not only clueless but a day dreamer!